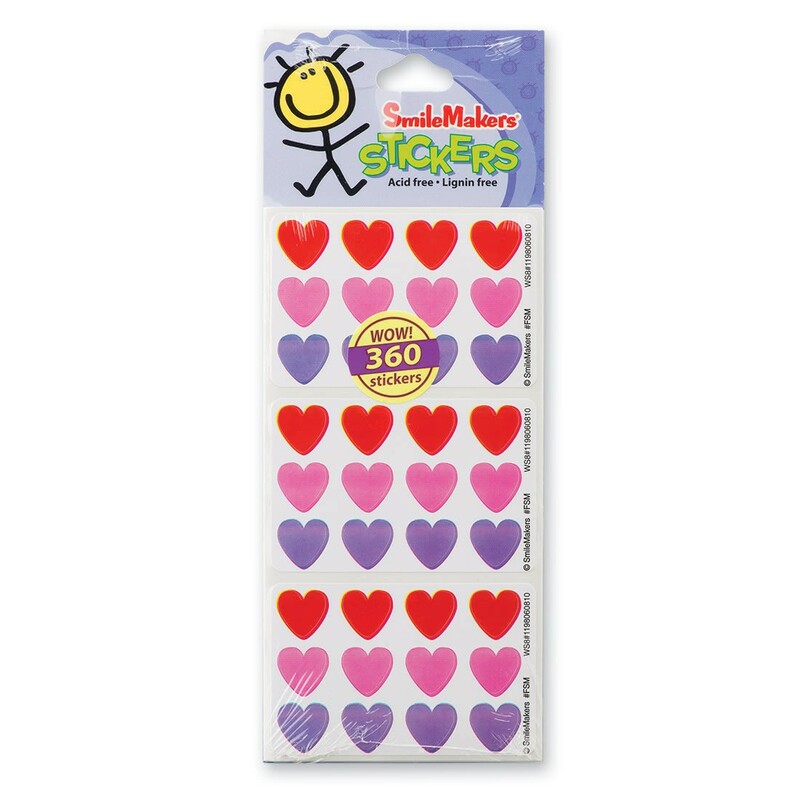 Miniature, colorful heart stickers for rewards or decorations! 30 sheets per unit - 12 stickers per sheet. Acid free. Lignin free.